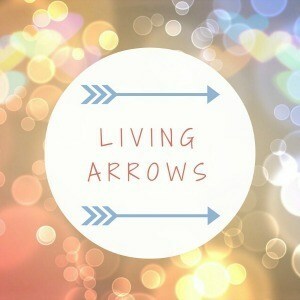 So far this year I haven’t really taken part in any of the living arrows posts but feel the pull back to it as I really need to document more for the girls. Living Arrows is about celebrating childhood. The project originally took it’s name from a poem by Kahlil Gibran, “You are the bows from which your children as living arrows are sent forth” As usual I am linking up with Donna from What The Redhead Said. I wanted to share these pictures from the family bbq pool party we had last week to celebrate my little sister and her fiances birthdays, they aren’t on the same day but it was the only chance for everyone to get together. Our middle sister, Kelly, has a large garden so we all congregated at her house with cake, food and wine in hand ready to celebrate and thankfully the weather was glorious! This picture of Amelia in the pool could quite easily have been taken on the Costa del Sol – it has been that hot here lately, i just hope it continues well into a decent summer! Kelly had a pool set up ready for the kids and her hubby was on hand to get the slip n slide on the go for what we thought would be just the little ones – we were all in fits of giggles when mum decided she needed to have a go too…not just once either and challenged Mark to a race! One of my pics for my living arrows photos this week is this one of Amelia, she was stripped off and ready to go before it was set up. She is such a little daredevil and threw herself down the slide with wild abandon, I love her zest for life and hope she keeps it always! Luke looked dapper in his dude cap and kept the girls entertained all night with the pool, treehouse and trampoline – until things got out of hand and the trampoline bit the dust. That’s always the sign of a good night when something gets broken! Little Miss E – model in the making! NEXT summer clothes review.